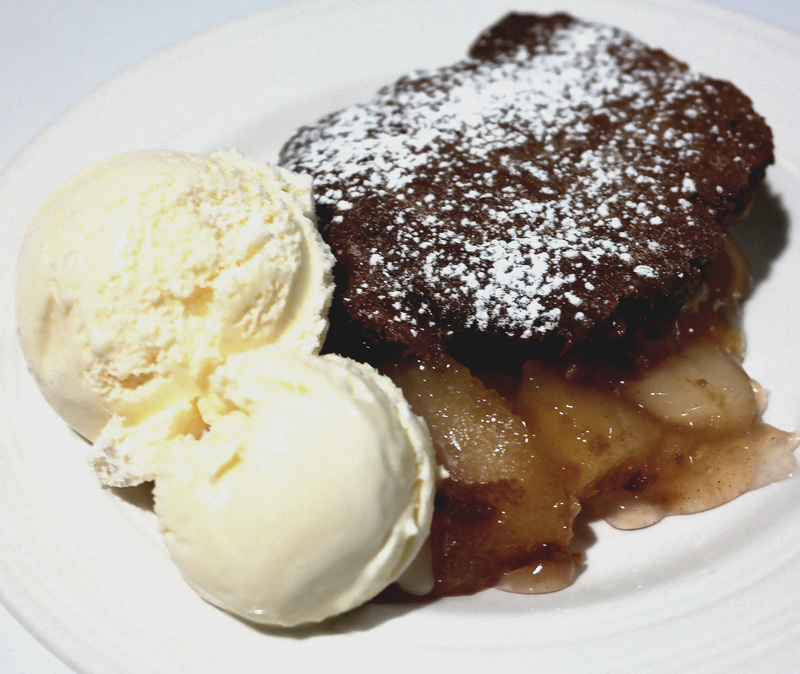 This heavenly gingerbread apple and peach cobbler recipe adds a Christmas twist on one of my most beloved desserts. I figured my go-to peach cobbler recipe could use an update, and gingerbread proved to be more than a just a seasonal twist; it was a delicious enhancement. 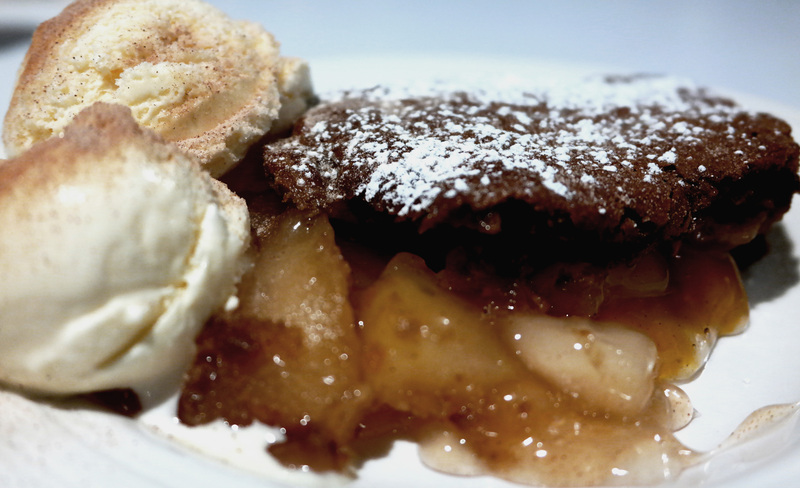 I’m not sure I’ll be able to return to usual cobbler crusts after tasting this rich and decadent alternative. Seconds inevitably turned into thirds because calories don’t count during Christmastime, right? I couldn’t decide between peaches or apples for this cobbler so I decided, why not both? And fortunately my indecisiveness was rewarded because this is the most indulgent cobbler I’ve ever tasted. It covers all the bases and if it wasn’t the giving season, I might have kept the whole thing for myself. Whoever is lucky enough to share with you will most certainly be eternally grateful. Pssst! If you don’t feel like tirelessly peeling and slicing peaches and apples, I promise I won’t tell if you just buy the equivalent in canned pie filling. Simply switch the filling recipe for 3 cans of peach pie filling and 3 cans apple pie filling. Combine the peaches and apples in your baking dish and place in preheated oven for 20 minutes. But if you’re keeping it authentic, the homemade filling directions are listed in the recipe. Preheat oven to 350F. Lightly grease an 11x7 pan or 2 quart casserole dish. In a large bowl, combine peaches and apples, 1/4 cup white sugar, 1/4 cup brown sugar, 1/4 teaspoon cinnamon, nutmeg, lemon juice, and cornstarch. Toss to coat evenly, and pour into baking dish. Bake in preheated oven for 20 minutes or until starts to bubble. Meanwhile, in a small bowl, whisk together the flour, baking powder, baking soda, cinnamon, ginger, clove, nutmeg, and salt. Set aside. In a large bowl, beat together the brown sugar and shortening until light and fluffy, about 2 minutes. Beat in the molasses and egg. Scrape down the sides of the bowl. Beat in half of the flour mix until just combined. Beat in buttermilk until combined. Finish beating in the flour just until combined. Do not overbeat. Drop spoonfuls of batter on top of the hot fruit filling then spread into an even layer. Bake 40 minutes or until a toothpick comes out clean when inserted into the middle. Cool for a few minutes then serve warm with ice cream.